Essential Performance Compressor Upgrade Kit. 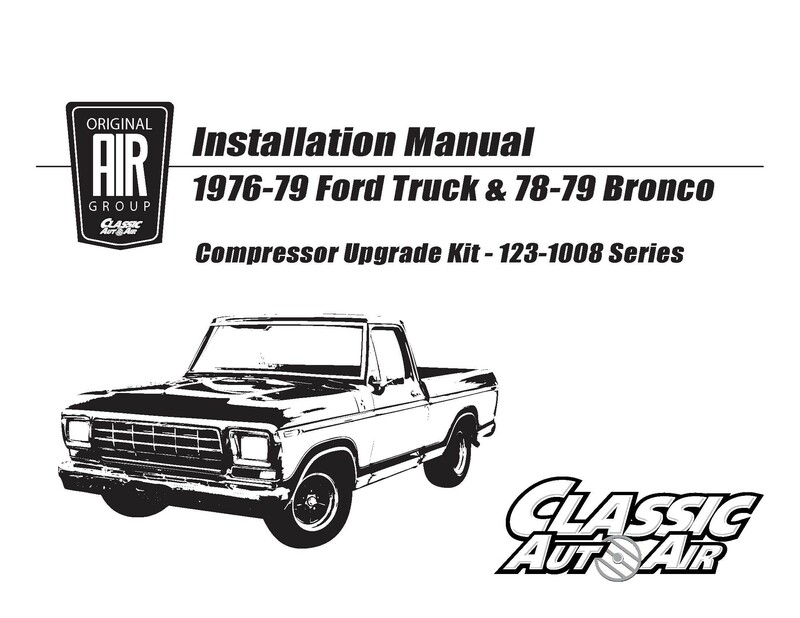 This kit is engineered for your 76-79 Ford F-Series Truck /78-79 Bronco with factory a/c and Ford V8 engine with original compressor mount bracket, idler and idler mount. Converting to 134a?This kit includes the essential parts to convert to 134a. Save Horsepower.Our rotary compressor draws significantly less horsepower of stock compressor; approximately 2-4 horsepower compared with 5-10 horsepower from stock. It is recommended, however, to have the system evacuated & charged by a professional. Installation instructions can be downloaded by CLICKING HERE. Hose Crimping instructions can be downloaded by CLICKING HERE. +This kit is designed for use with the newer 134a refrigerant, though we may be able to provide an R12 version of this kit if desired. It is important to make sure the evaporator, condenser and liquid line/hose are either changed or flushed and clean of contamination before installation and charging of the system. Please notify us if your vehicle is modified in any way from it's factory configuration (alternative engine or pulley design, etc).